Guyana’s first credit bureau, Credit Info, is calling on loan agencies and citizens desirous of acquiring loans to utilize its services to ensure an easier and swifter financial experience. 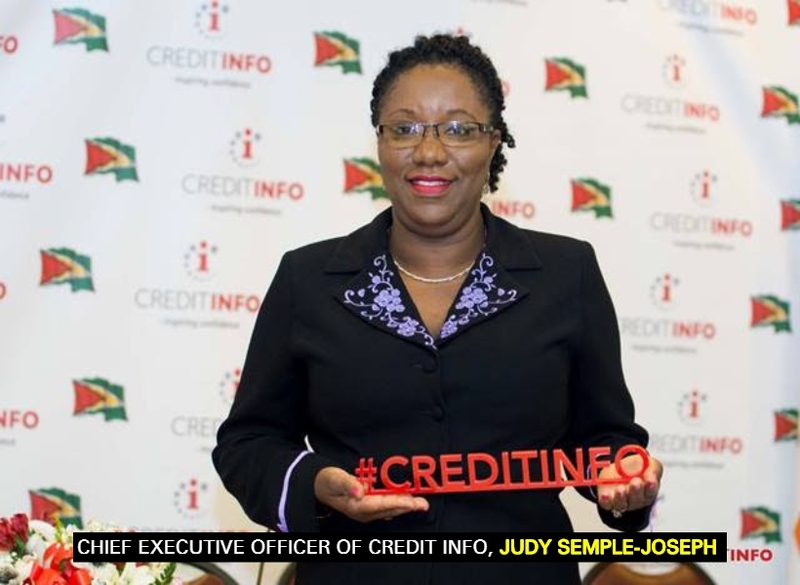 Chief Executive Officer (CEO), Credit Info, Judy Semple-Joseph said that the bureau offers strategic advantages for existing and potential lenders. She said that the services assist consumers in building better credit profiles, thus enhancing their chances of accessing loans. “Credit Info operates under the Credit Reporting Act 2010 and the Credit Reporting Amendment Act 2016 and embodied in that Act is the fact that lenders must put forward credit reports,” she explained. Semple-Joseph said all lenders are required to upload all credit information into the agency’s database. This, she added, is not confined to financial institutions, but extends to non-banking agencies and utility companies such as the Guyana Power and Light Incorporated (GPL Inc.) and the Guyana Water Incorporated (GWI), among others. The CEO further noted that with Guyana on the cusp of petroleum production, the business environment will soon become more competitive, hence the increased need for such a service. Executive Manager, GPL Inc., Renford Homer explained that the company has also accessed Credit Info’s database to gather information on defaulters. “We have been able to locate some defaulters who may have moved from their addresses that were established… there are times when we were able to locate those individuals,” Homer noted. In some of these cases, the company was able to negotiate with these customers and work out payment arrangements rather than move forward with legal action, he informed. It was further noted that October 4 is designated International Credit Bureau Day. As part of the observance, Credit Info is calling on citizens to visit the New Market Street office up to October 6 to find out their credit scores. Credit Info is an Icelandic company and was granted a local operating license in July 2013.